Recently, I ordered another typewriter from eBay to add to my collection. It is a manual Royal FP in a light grey reminiscent of many sea creatures. The machine is a desk typewriter, so large in fact, that I am unsure if it would actually fit on my desk. It was a Wednesday when the behemoth came in the mail, and at the time I was at the ski hill, so for a couple hours, I was totally unsure of what to expect. My parents texted me saying that the typewriter came and that it was REALLY HEAVY. That night when I walked through the door in full ski gear, I saw a massive box sitting on the bench inside my door. Just to see how heavy it actually was, I made an attempt to lift it, and was unable to. The weight of the box was so surprising and exciting at the same time, that I stripped off my winter clothes and ran to find a pocket knife to cut through the layers of 3M tape that was all over the box. Upon opening the box, I was greeted by this monstrous machine, that was old, dusty, and totally sixties. That night after dinner, I was typing on the new Royal, just to test the ribbon, look at the typeface, and feel the gargantuan return bar in my hand. I realized as I was typing that the slight movement of the machine was actually rocking my kitchen table. This was about the time when my dad and I started coming up with names for it. 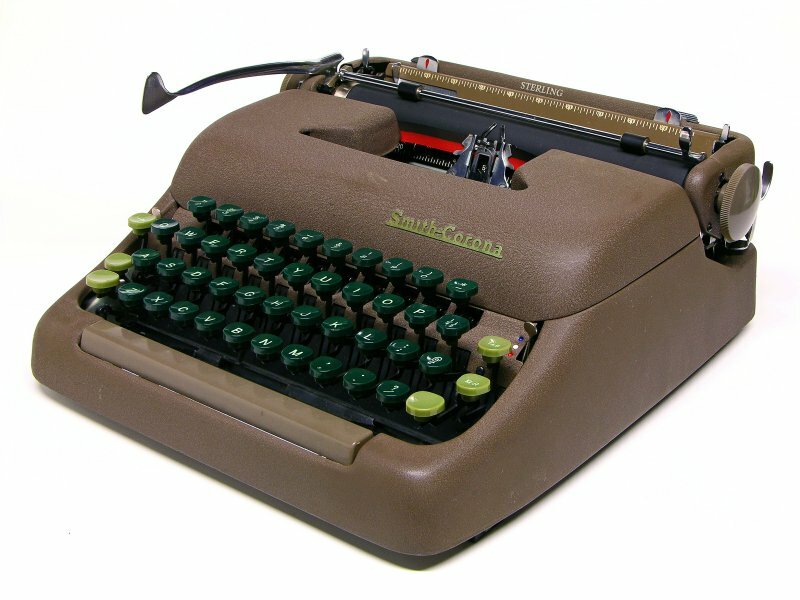 I wish I could remember the exact sequence, but in the end we deemed it, The Kraken of Typewriters. Next postIs It a Waffle Iron? These sure are big, and they are fine typewriters. Sitting in my basement is one that I stripped to bare aluminum; I have been postponing the boring part of the job, polishing it with ultra-fine sandpaper until it gets a very reflective finish. It sounds like yours will look really nice when it is done. I would definitely like to see a picture when you are finished sanding it.